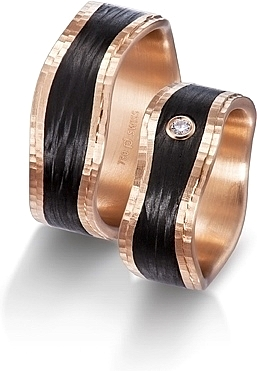 This wedding band by Furrer Jacot features carbon fiber and your choice of metal. It is priced without diamonds in 8.0mm. This ring is available in a variety of options; Call 1-800-979-1910 for pricing.